Dr. Daniel Galin acquired his expertise in SQA through many years of consulting, teaching, and writing in the field. He is currently a lecturer on SQA in the Faculty of Computer Science at the Technion, where he is a senior teaching fellow. 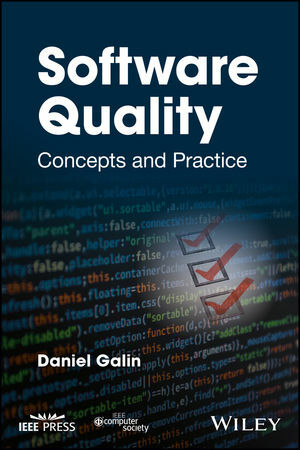 His earlier book, Software Quality Assurance: From Theory to Implementation, was published by Addison-Wesley in 2004. Many of his papers have appeared in leading professional journals. Dr. Daniel Galin received his B.Sc., M.Sc., and D.Sc. from the Faculty of Industrial Engineering and Management at the Technion - Israel Institute of Technology.